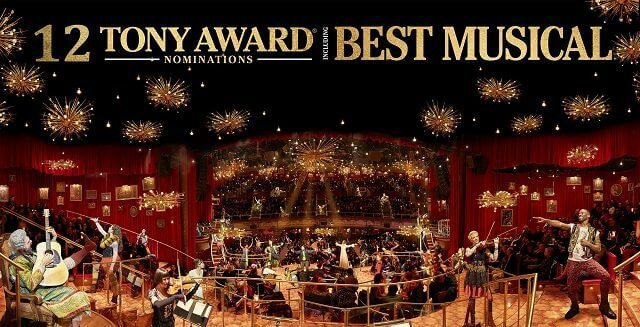 The nominations for the 71st Annual Tony Awards have been announced and Natasha, Pierre & The Great Comet of 1812 tops the list of nominees with 12. Hello, Dolly earned 10 nominations followed by Dear Evan Hansen with nine and A Doll’s House, Part 2 with eight. This year’s awards show will be held on Sunday, June 11th at Radio City Music Hall in New York City. Kevin Spacey’s making his Tony Awards hosting debut and the show will be broadcast live on the East Coast beginning at 8pm on CBS (tape delayed for West Coast). The 2017 Tony Awards will be directed by Glen Weiss. Weiss is also executive producing along with Ricky Kirshner.